Find here list of Refrigerators in India with price. You can browse 1977 Refrigerators from best brands like Whirlpool, LG, Samsung, Godrej, Haier. The Refrigerators price list updated on 19th April 2019 with lowest price from top online retailer like Flipkart, Amazon, Paytm Mall & many more. 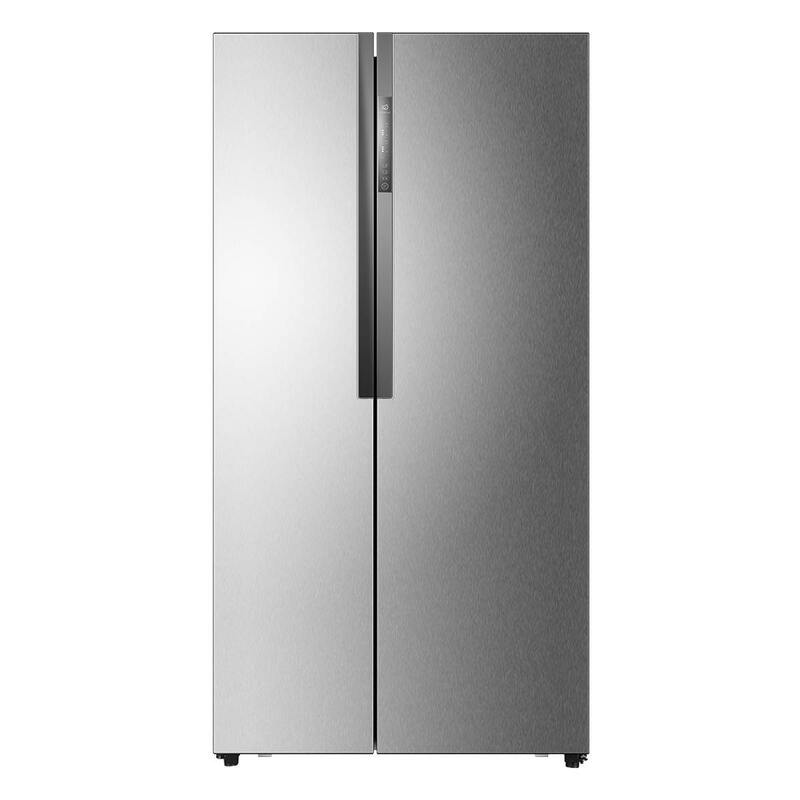 Refrigerators price & products list are updated on April 19, 2019 11:57 IST. Who does not know about refrigerators in today’s world? Well even then – A refrigerator is a machine which helps keep your food fresh and last longer. Refrigerators help in increasing the shelf life of perishable food and drinks keeping them at a temperature at which food does not get rotten and stays fresh for consumption. A Refrigerator has become one of the most popular household appliances now because of its capability to keep food fresh and healthy for consumption which leads to lesser wastage. Sometime a smaller fridge is also called an Ice-box with ice packs and insulated walls which help keep your food fresh and safe. This method of keeping food cool and preserved existed thousands of years back and now in our modern era this concept converted into machines what we call Refrigerators. Refrigerators comes in different shapes and sizes depending on the kind of usage – Commercial and Domestic. Commercial refrigerators are larger machines which are used as cold storage for perishable food products, whereas a Domestic refrigerator comes in smaller sizes starting at 4Liters and going upto about 700 Liters. With technology having advanced to some insane levels we now have Refrigerators which consume lesser energy and electricity making Refrigerators work in lesser units being the necessity that they are. So bulk storage and large amounts of food could stay safe and healthy only with the help of these machines called refrigerators. With the innovation and the birth of a Refrigerators you are able to taste food, fruits and vegetables which are not native or local to you. Fruits now travel from far off locations across borders and countries to reach your table in a fresh state only because of the refrigerators. Image without a refrigerator, to try any new kind of food you would only be able to travel to that place and taste it. Not just daily food products but also Chocolates for that matter would never survive the heat and so would never be able to travel all the way from Switzerland to your fridge. You would have never tasted what a Swiss chocolate taste like and same goes for the Wines of the World. Wines taste best when keep in cool temperatures. Graduating form a luxury appliance to a necessary one, refrigerators have now become a very basic need of today. We can’t imagine a day without a refrigerator – from water to food to butter to chocolates to fruits this magical device keep all your food and drinks safe and preserved for later consumption. In India we have a wide range of refrigerators available form some of the top brands like – Whirlpool, Haier, Samsung, Godrej, LG, Bosch, Kenstar and others. A perfect blend of design, technology and style is what you get in a Whirlpool refrigerator. Side-by-side, Bottom Mount, French doors with unmatchable features like – Dual cycle dual air system, high moisture retention technology and a world class design make these Whirlpool refrigerators a great buy. 3D air flow technology, automatic water and ice-dispenser, high-tech navigation functions, anti-finger print film and superb performance is what you get in the Whirlpool refrigerators. Being the most popular refrigerator brand Haier offers some top notch features which could be missing in other refrigerator brands. With longer condenser coils and heavy insulation the Haier refrigerators help in keeping your Refrigerator air sealed, fresh and intact. Twin inverter technology and heavy duty compressors help in making sure you don’t need a stabilizer ever. French doors, side-by-side doors, top-mount freezer, food showcase kinds and all other types of designs are available under the Samsung brand. Samsung has designed its refrigerators in a way which improves the way you store your food which helps in keeping its life longer. An array of functions and designs at affordable prices is what you get with the Samsung brand refrigerators. High energy efficiency, frost free technology and a 10-year compressor warranty along with a patented 360degree cooling technology is what these Godrej refrigerators offer. Godrej being one of the biggest players in the large appliances category is very popular for its refrigerators as well. Godrej consumers are always delighted with the delivery of its products and so be sure to never be disappointed with this Brand. LG’s Dual Door-in-Door technology makes it a great product in its class. Temperature detection and energy saving features with superb design make the LG refrigerators a quick buy. With the wide range of variants that LG has to offer be sure to pick the one that suits your requirement. LG’s refrigerators use the latest cooling technology and convenient storage design to make it to the most Innovative product award year on year.